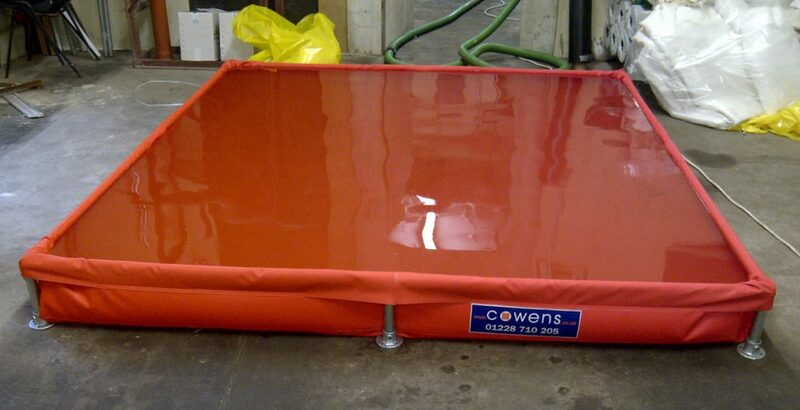 Cowens customised bunds are made to your measurements to completely bund a liquid storage area. 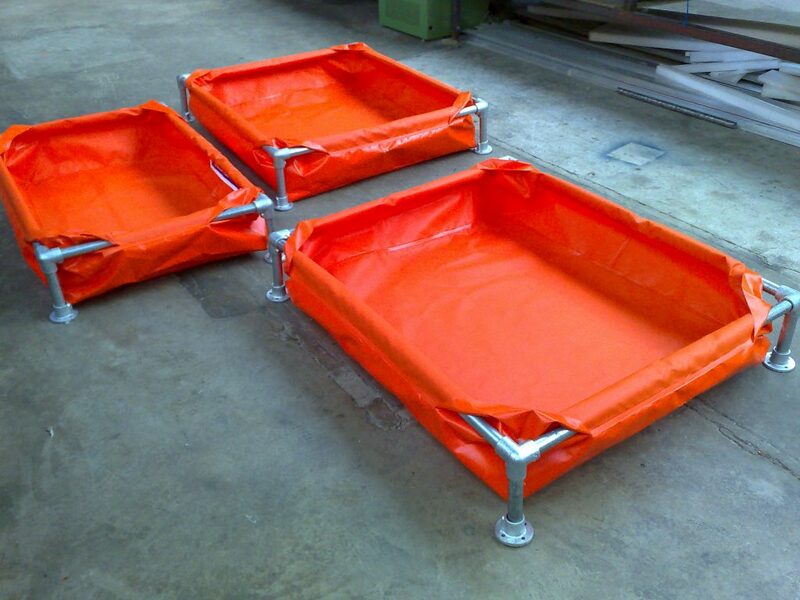 They contain spills and present a clear zone to encourage safe liquid storage. Access to the customised bunds is easy for Fork Lift Trucks or Pallet Trucks by dropping the front frame and refitting when in place. Made from high strength flexible Polyurethane or PVC. Frame is galvanised steel with KeyClamp connectors. A versatile and effective solution to the liquid storage regulations.